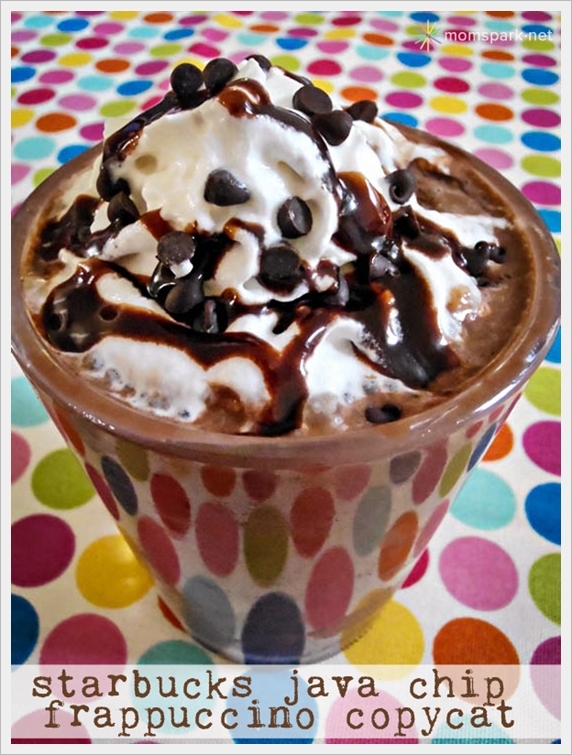 I posted a recipe for a Starbucks Java Chip Frappuccino Copycat over at Mom Spark today. Please head on over to check it out. So fun! This is my dads favorite drink at Starbucks, but he orders it "extra chippy.. no whippy" .. hehe. Great recipe!